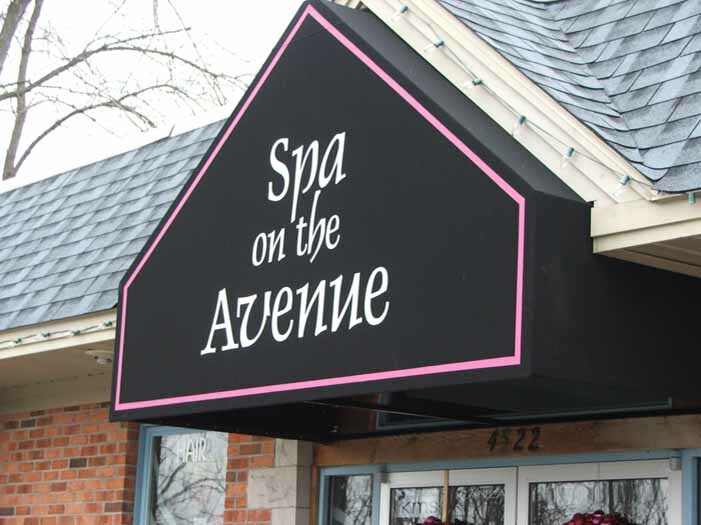 A beautiful awning enhances curb appeal and makes your business stand out. 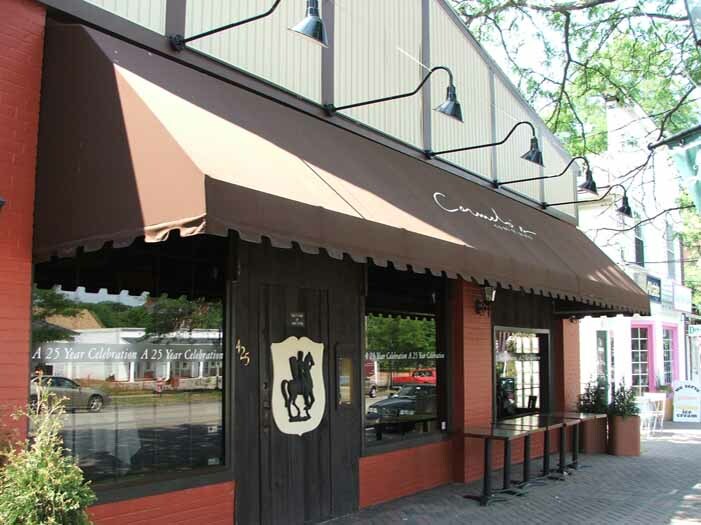 If you want an affordable commercial awning that’s built to last, you want Custom Covers and Canvas! There are many types of fabric awnings that we can manufacture. Our professionals will help you design the new look your business deserves. Our most popular Back-Lit awnings are the preferred signage for displaying your business 24 hours a day. Your logo and products are lit with sunlight during the day, and powered by high-efficient fluorescent lighting at night. We use both galvanized hot-dipped steel tubing and aluminum extrusions to build our framing systems. Our 3M Vinyl-Applied graphics will withstand the harshest elements we face. Our in-house designers can create your personalized graphics and render them onto a digital picture to allow you to envision your new appearance. The graphics are made of high-performance translucent vinyl, which allows light to pass through, giving your sign a rich, true color. 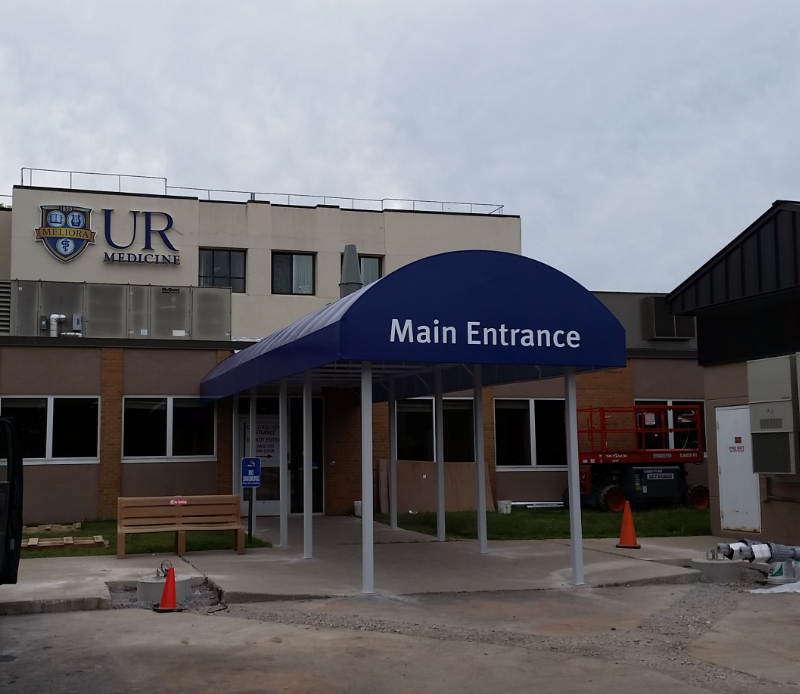 Commercial Awning Service in Western NY! We also offer custom outdoor banners, pole signs, window graphics and stickers, aluminum substrate signage, and much more. Please give us a call and let us design your next sign.